Inspiration comes in various forms and at unexpected times. For me, it came recently and quite unexpectedly during a brief getaway in Prince Edward Island with three great friends. Although the trip was structured largely around golf (or a reasonable facsimile thereof), we took the opportunity one evening to attend a concert, the first in an annual series that’s known as the Indian River Festival. The festival is something of an inspiration itself. 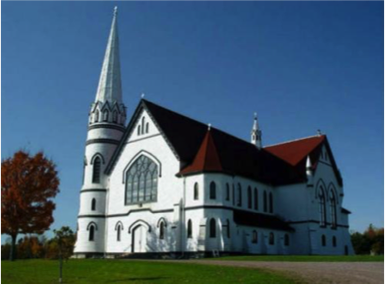 It began in 1996, initially to aid in the upkeep of St. Mary’s Church, a truly lovely example of Atlantic ecclesiastical architecture. 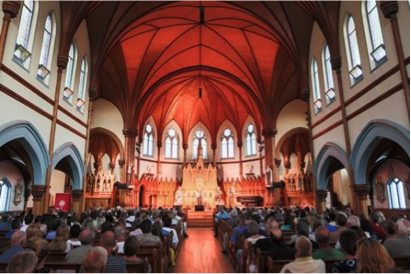 When the local diocese decommissioned the church, it was purchased by the festival association. They collaborated with former parishioners, the Friends of St. Mary’s, to restore and preserve the building, now a historical site. The result is a truly special venue for the staging of local talent that preserves the dignity and spiritual quality of the building. In fact, it’s that “spiritual” quality that seemed to link the building, its history and the dedication of the local community in the performance we attended. They were joined that evening by an ensemble called The Atlantic String Machine, a group of talented musicians who performed Bach’s second Brandenburg concerto, as well as their own compositions and arrangements of contemporary popular music. They were dressed somewhat formally and, on the surface, one might reasonably wonder how they would combine with the folksy Newfoundlanders. Well, that wasn’t a problem. 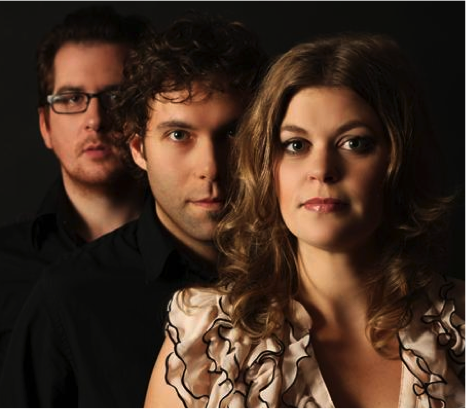 They complemented the trio beautifully, adding power and texture to the songs without in any way detracting from their essential messages. The fact that the two groups had only one practice together highlighted the incredible skill of all these musicians, mastery of their instruments and dedication to their professions. As I watched all this in the company of three close friends and working colleagues who I admire greatly, I couldn’t help but think of the parallels between these dedicated musicians and those who accomplish great things in Medicine. Dedication to craft, mastery of skills, empathy with those in our communities and desire to reach out to promote their welfare, are the exclusive domains of no particular profession. In the end, great musicians, great doctors, great citizens, care deeply for their communities and give of themselves, going beyond the mere application of skills and knowledge. Those qualities, fortunately, abound all around us, but are often muted by the pace of our hectic daily lives and continual, frenetic barrage of seemingly random information. Sometimes it takes an evening on an island in the right company to be reminded of what really matters. Fortunately, you know it when you hear it. Oh hello! Still in that hammock from our last blog? Well don’t worry—this time I’m not here to get you up to plan next year’s courses. 🙂 I do have more to say about bookends, but that can wait until closer to September, when you start planning your classes. 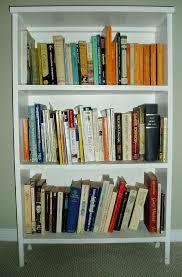 For now, I’m here to help with your summer reading list to fill up your bookcase. I’ve asked a few colleagues for ideas, and (as always) I have some ideas of my own. Dr. Lindsay Davidson contributed: Getting started with TBL by Jim Sibley http://learntbl.ca/book/ as an excellent way to introduce yourself to teaching with small groups as we do in Queen’s UGME. Dr. Sue Fostaty-Young contributed one of her go-to books on teaching: Therese Huston’s Teaching What You Don’t Know. Sue says, Intended as a book for new and junior faculty members who frequently have to teach large service classes that may be far removed from their areas of interest or expertise, the book is simply one of the best all round books on teaching that I’ve come across. As for me, I’ve finished dipping into The Question of Competence: Reconsidering Medical Education in the Twenty-First Century, with Brian Hodges as editor. With Competency-Based Education so critical, it’s a great book to get at some of the implications of CBE and it truly is dippable—you don’t need to read it cover to cover in one setting, but can dip into chapters as interest guides you. I call these my “Dipping” books. 2. Someone recently gave me Gratitude by Oliver Sacks (Thanks SM!) which has motivated me to pick up his Musicophilia: Tales of Music and the Brain. I find him an inspiring writer so I’m looking forward to reading this. And Gratitude is certainly worth picking up for its three lovely reflections. 3. Recently, one of our faculty heard that it wasn’t her job to comment on students’ spelling, grammar and syntax as a medical educator. That’s actually not correct (it’s in our Red Book objectives) but to bolster the case, I found this book by Clive E. Handler that looks interesting: English and Reflective Writing Skills in Medicine: A Guide for Medical Students and Doctors. I’m ordering it to read over the summer so I can let you know. But anything that has writing skills and reflection in the same title is a hook for me! 4. Because I’m fascinated by the odd reputation that reflection has in medical education, (I’ve seen medical students blanch and strong doctors flinch at the term :), I’ve been dipping into A Teacher’s Reflection Book, Exercise, Stories, Invitations by Jean Koh Peters, and Queen’s own Mark Weisberg. I’ve just finished Chapter 5, The Teacher and Vocation (I have a bad habit of reading chapters out of sync—I read Margaret Atwood’s Alias Grace, from the end backward—turned out to be a great book!). While the word vocation might make some shy nervously, I’m really liking the exercises. It starts off by asking “What if you had nothing to prove?” What a great question! Since I’m reflecting on writing about reflecting for a later blog, I’ll save the full review for later, but try this one exercise: Write your personal mission statement or your “call” as a bumper sticker. And here’s a teaser. 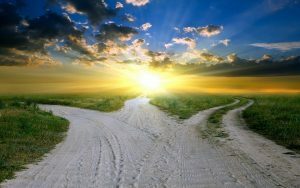 There is a paradigm shift in viewing your teaching as a vocation rather than a career. Here’s one example: Career = Who am I? What’s in it for me? Vocation = Whose am I? Who am I in teaching for? (James Fowler). I’ve just started reading When Breath Becomes Air by Paul Kalanithi. Isn’t it a wonderful book? I also have a bad habit of reading 3 books at the same time, but this one is maintaining first place in my reading triad easily! 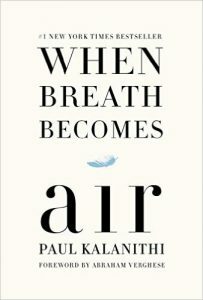 When Breath Becomes Air is a memoir chronicling Paul Kalanithi’s life as he studies at Stanford University, and then at Yale University’s medical school. Kalanithi is close to finishing his training as a neurosurgeon when he is diagnosed with stage IV lung cancer. This is a haunting book for me and one that is inspiring me as well. 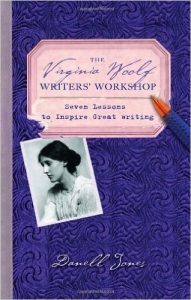 And last but not least, because summer and especially vacations are a great time to exercise your right brain, and because she’s a favourite author of mine, may I recommend: The Virginia Woolf Writers’ Workshop: Seven Lessons to Inspire Great Writing by Danell Jones? This is another great dipping book, and I’ve tried each of the exercises—so much fun! What about you? What great books are you heading for this summer? Feel free to write in with your suggestions! And thanks to my colleagues for their suggestions! 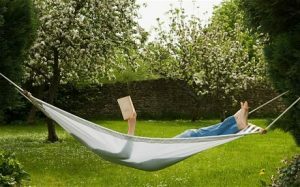 Hope these give you some ideas so you can climb back into that hammock and bury yourself in many good books this summer! Have a peaceful, restful, reading-ful summer and I look forward to seeing you come the fall. Whew! Classes are over, summer is beginning, the students are off on a well-deserved vacation, and so are you! It’s time to relax, kick back,have an umbrella drink, perhaps mow the lawn occasionally, right? What I’d like to suggest that now is the time to plan your next course. That’s right—while the course is fresh in your mind, and the foibles, and successes are shining bright, it’s time to plan. And I have an idea about your planning. It comes from Dr. Maryellen Weimer in her blog Faculty Focus. 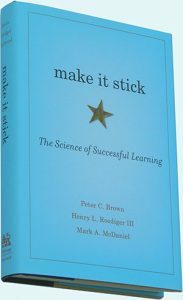 Book-ending as a pedagogical and course design strategy is relatively simple. Add structure and “tie things together” to your course by building a thread throughout. You introduce the thread in the first class, continue it as much (or as little) in your course as you like, and then bring it to closure with an activity similar to the first class, at the end of the course in the last class. 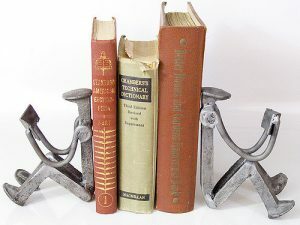 Bookends are a common technique in writing professions, such as screenwriting, storytelling, and even essay writing and I think it has particular relevance for us in health sciences education. Think of the cases we use, especially in medical education, to ask students to apply their foundational knowledge to the “stories” of patients. Those cases have a thread, and are bookended, aren’t they? 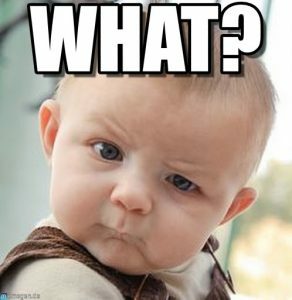 Pass out the same sheet on the last day, give students time to complete it, and then return the one they filled out the first day. Have a brief discussion about the differences and similarities of the two sheets. We did something similar in the former Professional Foundations Course at Queen’s where Dr. Ruth Wilson introduced students to the Intrinsic Roles of a physician, and then asked them to look back a year later to see what they’d learned, as part of their Portfolio assignment on what they’d learned about the intrinsic roles. Also from Dr. Weimer: Pass out a problem set on the first day. Give bonus points for answers and for work that shows the student spent some time searching for the solution. Calm students’ fears by indicating that they’ll see these problems throughout the course. Pass out the same problem set on the last day and watch for smiles. …or Mr. Gonzales or…. whoever you’d like to “star in your bookend case. Ms. Lavigne is a patient whose case is introduced in the first class. Checking in with Ms. Lavigne happens throughout the course. It could be that, after a lecture on infection or infection control, or hospital acquired infections, Ms. Lavigne has had this complication in her case. Or after a learning event about safe opioid prescription, and opioid addiction, Ms. Lavigne has to be treated. We don’t want to overload Ms. Lavigne G with every condition in the book—it becomes a bit of a joke, if she’s not treated with respect, relevance and as someone encountering real-life issues. But Ms. Lavigne’s case can also be the wrap up of the course in order to ask the students, “What have you learned?”. You can follow Dr. Sue Moffatt’s example at Queen’s with the case of Mr. McCade, and have an integrated case that bookends three different body systems such as Cardiovascular, Respiratory and Renal across a whole term. Create an algorithm or some other graphic representation of your course. Fill in the first few blanks. Leave the others blank and ask students to track their learning by filling it in through your the course. Reviewing these in small groups makes for interesting learning in itself, especially when compared to your own vision of the course. Or you can ask students to create a “concept map” of what they learned, based on the outline you provided on the first day. Activity 6: What is working? What is not? Introduce your students to informal evaluation of the course on the first day. 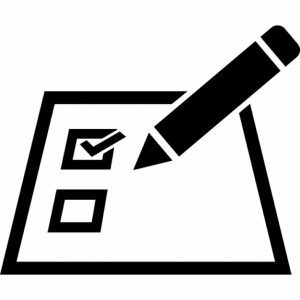 Ask them to record (on an electronic survey, on a recipe card, or giving feedback to a class representative) what they have learned this week, what is confusing them (muddiest point), whatever questions you have for them. Start this early, and do it periodically as check-in’s throughout the course, and wrap up with final evaluations. In between, show students how you are responding to their concerns, especially muddiest points. (In our school, where faculty don’t always have a chance to come back to the class, they can email, or use our MEdTech Discussion Board). So, what do you think of bookends? Can you make them work for your course? You can always check in with our Educational Development Team to run ideas by us. And of course, you can now get back to that well-deserved break! Have a wonderful summer, and many thanks to all the wonderful teachers and students who made the academic year of 2015/16 at Queen’s UGME such a success! Anyone with their ear to the medical education ground in the past year will know that service learning is a very, very hot topic. 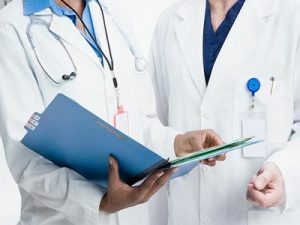 Ever since the Committee on Accreditation of Canadian Medical Schools (CACMS) endorsed service-learning as an important (but optional) element of the education of future physicians, medical schools across the country have sought to incorporate this as a feature of their curriculum. However, service-learning, by its very nature, can leave students feeling uncomfortable: it’s structured but open-ended. Consulting with community members to set goals and design projects is not always as straight forward as mastering the objectives of a standard medical course. Unlike other curricular and co-curricular activities, service-learning projects often start with pretty broad objectives. Add in consultation with multiple community stakeholders and the projects themselves can seem quite nebulous at the start. We’ve written about service-learning on the blog before (here and here) as we’ve continued to develop our approach to encouraging and supporting our students in engaging in service-learning. Service-learning projects are one way our medical students (and pre-medical students, in the case of QuARMS) enhance their understanding of working with community members, explore intrinsic physician roles, and contribute in a very real way to our medical school’s social accountability to our communities. On a national level, the Canadian Alliance for Community Service Learning (CACSL) provides support and networking opportunities for students, educators and communities engaged in these endeavors. At their recent biennial conference held in Calgary, multiple presenters addressed students’ issues with the ambiguity of service-learning projects compared to other learning activities. When students have the autonomy to define what is happening with a project in cooperation with an organization, they can feel a little lost, one presenter, Chelsea Willness, an assistant professor at the Edwards School of Business at University of Saskatchewan, noted. They want templates and checklists because that’s familiar, she added. It’s clear that while many students are excited about the opportunity to engage with community partners, they both need and want support. 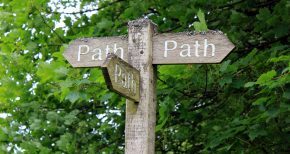 Equally important is providing them with reassurances that each project will have its own path – which includes some levels of uncertainty. One key word in that definition is structured. Providing as much structure as possible can help ease students’ discomfort with some of the ambiguous nature of service-learning. To that end, the Teaching, Learning, and Integration Committee (TLIC) has been assigned oversight of service-learning for undergraduate medical students and has implemented three possible avenues students may use to have a service-learning project recorded on their MSPR. To launch this, a one-hour session on service-learning was added to the first-year Professional Foundations course earlier this year. This learning event included information on why we’re deliberately supporting extra-curricular and co-curricular service-learning activities as well as information on potential service-learning avenues. As part of this session, members of the Class of 2019 were polled to see what types of service-learning projects they might be interested in and how these might fit in the three paths. Dr. Lindsay Davidson (Director of the TLIC) and I have met with representatives from several established student groups whose existing activities were quite close to our service-learning definition and threshold to map out ways their participants could extend their volunteer service into a service-learning project (this is always optional). Typically, this meant documenting some form of consultation and implementing some form of reflection on learning. These groups include SwimAbility (formerly Making Waves) and Jr. Medics. Other groups can be added to this list (email me: theresa.suart@queensu.ca to set up a meeting about this if your group might fit). The two initial pilot projects are with Loving Spoonful (an organization with the goal of enhancing access to healthy food) and the Social Planning Council (with a focus on social housing in the Kingston area). These will be longer-term projects with sequential groups of students completing phases of a larger, continuing project. (The first participants have already been identified through the PF class poll. Recruitment of UGME students will be through the TLIC, not through the agencies). In the future, as more students engage in formal service-learning projects, students’ reflections on their learning may be presented at a service-learning showcase, similar to the Undergraduate Research Showcase that is held each year. While having three different routes to recognized projects may seem to add to the ambiguity of “what does a service-learning project look like”, providing multiple avenues for recognition was important. “Our students have many different interests and we wanted to leverage that by providing multiple avenues for service-learning projects to be completed and recognized by the school,” Dr. Davidson said. We’re never going to completely eliminate the ambiguous nature of service-learning projects, but we’re working to put structures in place that can meet a variety of students’ interests and community needs. 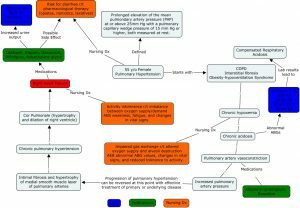 With thanks to Dr. Davidson for her contributions to writing this post.